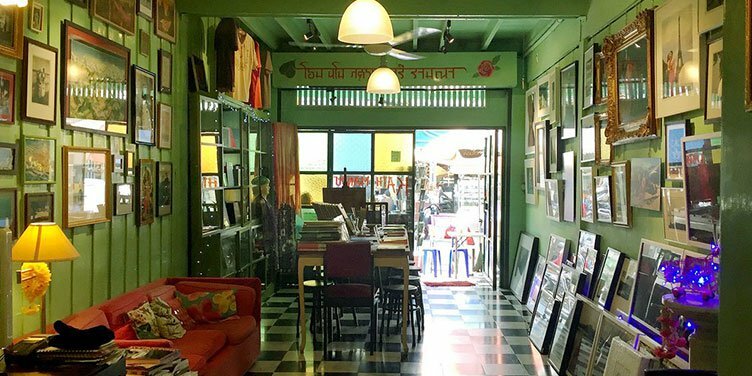 Kathmandu Photo Gallery Bangkok is homed in an old pre-war shophouse renovated wondefully. Green walls covered with balack and white from different subject photos from the owner Manit Sriwanichpoom own travel. Apart from photographs there is yoga class on sunday morning and you can find incense from Tibet and India. A variety of prayers beads, scarves and various unexpected magical object.